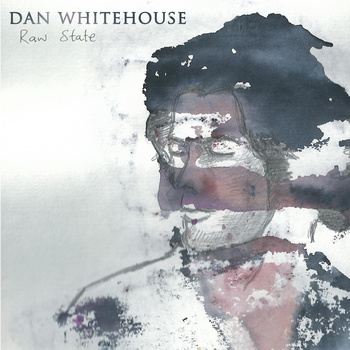 Produced by Chris Clarke and Danny George Wilson from Danny and the Champions of the World, ‘Raw State‘ features re-workings of previously released material, something akin to my live show. The record features pedal steel legend BJ Cole, who has previously worked with a vast array of artists including REM, Elton John, Brian Eno and Bjork. Produced by Danny George Wilson and Chris Clarke of the band ‘Danny and the Champions of The World’. and recorded at Chris’ studio – Reservoir Studios in North London. Recording this album was a wonderful experience, and I feel blessed that the winding path of gigs and sessions in recent years lead me to meet the wonderful people involved and capture these performances. I’m also pleased to say that documentary film maker James Barnett was around to document some of the sessions so we can share the happening. We recorded the album using traditional methods and techniques – the band set up and played live in the studio – and we mixed the record live too – Over the years of listening, I think the records that have had the greatest emotional impact on me were made in that way. Danny Champ’s charming modesty only permits him to describe his role in the studio as that of the ‘cheerleader’…whilst the phrase I would choose is ‘ creative force’! He’s one of the most inspiring and talented musicians and songwriters I’ve had the pleasure to meet, all fuelled by his endless passion for music and song.